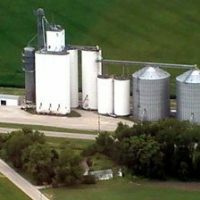 Topflight Grain Cooperative, Inc. is a farmer-owned grain cooperative in the heartland of the USA in the middle of Illinois grain belt. The rich soils and modern farm practices produce record yields of quality grains. 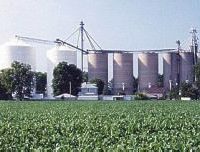 Formed in 1998 as the consolidation of three local grain cooperatives and additional mergers in 2000, 2003 & 2014, Topflight Grain Cooperative serves grain producers in Piatt, Macon, Moultrie, Dewitt, Douglas, Champaign, & Logan counties. 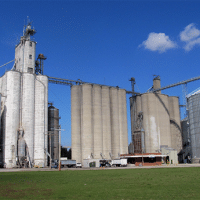 Permanent storage capacity of the nineteen facilities is 37 million bushels of grain. 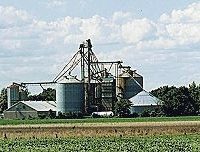 Annual volume of the company is 40 million bushels with grain sales exceeding $240 million. Topflight Facilities open seasonally: Shackelfords and Lodge. The Decatur processing plants of ADM & Tate & Lyle are just 25 miles from many of the facilities. 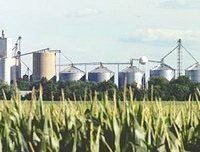 Processing plants and ethanol plants near Pekin are just 40 miles from the Logan County elevators; Bloomington, IL processors are just 30 miles away. 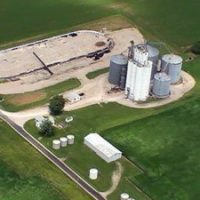 Gibson City processors and One Earth Energy are only 30 miles from the Seymour elevator. These markets provide many market opportunities for the quality grain grown by the 2,600 stockholders of Topflight Grain. 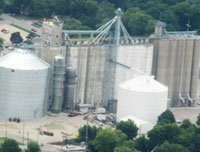 The numerous trucking firms that serve all of Topflight’s grain elevators ensure prompt delivery to meet contract specifications. Topflight Central Illinois locations’ Rain Map featuring year-to-date totals of rainfall at 14 Topflight Grain locations. 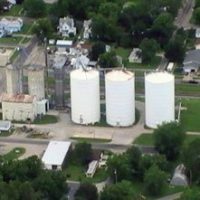 Topflight Grain facilities at Bement, Milmine and Monticello are located directly on the Norfolk Southern rail main line, allowing shipments of grain into Decatur, movement to the Illinois River, east coast, or the export market. Through a reciprocal agreement, switching on the Illinois Central affords the opportunity for export markets via the Gulf of Mexico. The Gulf of Mexico is also accessible from the Cisco grain facility, where Topflight Grain is the co-owner of a 13.5-mile rail road that connects Cisco to the Decatur markets and the IC rail service. 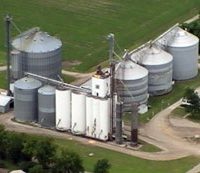 Topflight Grain Cooperative, Inc. is a state-licensed grain dealer. 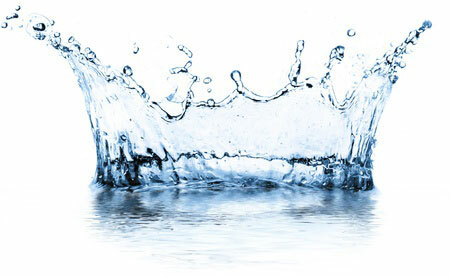 The licenses are protected through annual audits by the State of Illinois. Year-end financial and grain audits are prepared by certified accountants and presented at the Company’s annual stockholder meeting. 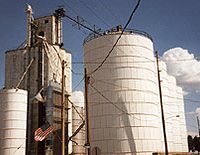 Topflight Grain is also a member of the Illinois Grain Insurance Corporation which insures grain owners against grain elevator failure. For more information about state-licensed warehouses, visit the Illinois Department of Ag’s website. 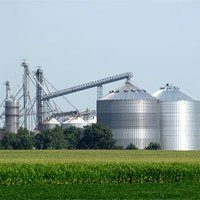 For more information about the grain code and the grain insurance fund and claims, see the Illinois Department of Ag’s Grain Code page. Morning Markets: Corn -3. Beans +1. Wheat -2. The grain markets are mixed following another round of aggressive fund selling on Wednesday. The dollar index continues to soar higher, making new highs for the move for the 3rd consecutive session and trading at an 11-month high. The strength in the US dollar weighs on commodities as investors flock to the safe-haven of the dollar amidst concern of slow world economic growth. Global Equities: Japan +0.5%, China -0.9%, and Europe -0.3%. EU MATIF Exchange: Corn no change and Wheat +0.2%. China’s Dalian Exchange: Corn -0.1%, Soybeans -0.3%, and Meal -1.0%. • The weather outlook for the Midwest still has 3 systems that will move through the region today through next Thursday. The Northern U.S. Plains has moderate rainfall into the weekend with some areas even looking at some measurable snowfall. The Southern Plains is mostly dry through Saturday before rains arrive Sunday bringing moderate precipitation to most of the region and lasting into the middle of next week. • Walmart announced Wednesday it is entering the beef industry. The nation’s largest grocer is creating its own end supply chain to sell no-hormone-added Angus beef cuts in 500 Walmart stores across the Southeast later this year. Walmart's move follows rival Costco effort to develop a poultry processing plant and dozens of supplier farms to provide the chain's signature rotisserie chickens. • China customs data showing China imported 1.51 MMTs of soybeans from the US in March, up from February's shipments of .907 MMTs. China also imported 2.79 million tons of soybeans from Brazil. Total imports for the month of March were reported at 4.91 MMTs. • China has indicated it will buy an additional 1.9mmt of Malaysian palm oil over the next 5 years: oil stocks in Malaysia hit a 19 year high in December. China is currently Malaysia’s third largest palm oil buyer. • Weekly EIA Ethanol Report: Production: +32,000 at 1,048,000 BPA (+3.1%) – market was expecting +1%. Stocks: +71,000 BBLS at 22.747 million barrels (+0.3%) – market was expecting +1-2%. 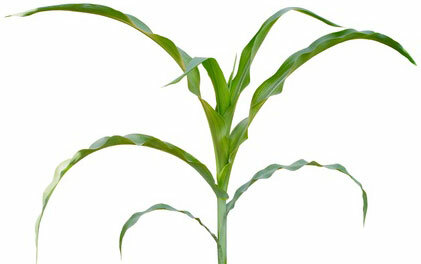 • Corn: 779,800mt 18/19 crop, 3,000mt 19/20. (Estimates: 600,000-1,000,000/ 0-100,000). • Soybeans: 596,300mt 18/19 crop, 22,700mt 19/20 (Estimates: 300,000-700,000/ 0-50,000). • Wheat: 425,300mt 18/19 crop, 226,200 19/20 (Estimates: 200,000-450,000/ 100,000-300,000). • Meal: 329,200mt 18/19 crop, (Estimates: 125,000-325,000). • Oil: 19,600mt 18/19 crop. (Estimates: 5,000-30,000). Closing Markets: Corn -5. Beans -7. Wheat -7. Corn futures closed into new contract lows again today as the funds continue to build on their record net short position. It was estimated this morning that the corn funds were net short roughly 345,000 contacts. May corn has lost near 12 cents just this week and 33 cents since March 25th. The wheat market continues to act as an anchor to the corn market with May wheat down another 6 cents today. Export demand concerns and better rain forecasts for the EU weighed on wheat again today. 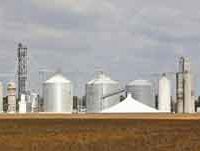 The ethanol report showed that 103.8 million bu. of corn was used for ethanol last week. This is the highest weekly grind figures since the week of Dec. 21st. Ethanol stocks did increase slightly this week to 22.77 million barrels but have recently been in decline mode since the record of 24.448 million barrels on March 22nd. The corn trade continues to mostly disregard the weather forecast. The extended forecast is wetter for the 6 to 14-day period with multiple inches of rain predicted in parts of the Midwest over the next 10 days. Snow could be seen in the northern plains this weekend. Some progress, however, is being seen in the west while the eastern corn belt mainly sits. A higher U.S. dollar index was considered negative to grains as well. Export sales will be out tomorrow. Soybeans closed nearly 7 cents lower today and have now lost 25 cents for the week. Concerns about export demand amid increased competition from South America weigh on futures. It seems the market may have finally woken up to the fact that the U.S. is currently projecting a record carry out. The late season improved weather forecast in South America has stabilized and/or increased production estimates in Brazil and Argentina, which further hampers the export picture for the U.S. China and the U.S. are set to meet face to face next week in China. The two countries will then head back to the U.S. the week following. The comments surrounding the next rounds of meetings continue to be optimistic that a deal may be announced this summer. The Stats Canada report showed canola acres at 21.3 million acres, down from 22.8 million last year. Bean acres are expected to fall to 5.6 million from 6.3 million last year. Spring wheat was forecast at 19.4 million acres, up from 17.3 last year. Export sales will be out tomorrow.